As an SFEA staff coach, Joe supports SFEA players, teams and coaches in a number of capacities. Joe holds an NSCAA National License as well as the United State Soccer Federation C, D, E & F National Licenses. He has over 30 years coaching experience, from Sacred Heart & University High School, ODP, Men’s Senior teams to youth teams from U8 – U19. Joe Dugan is the Executive Director of the San Francisco Elite Academy. 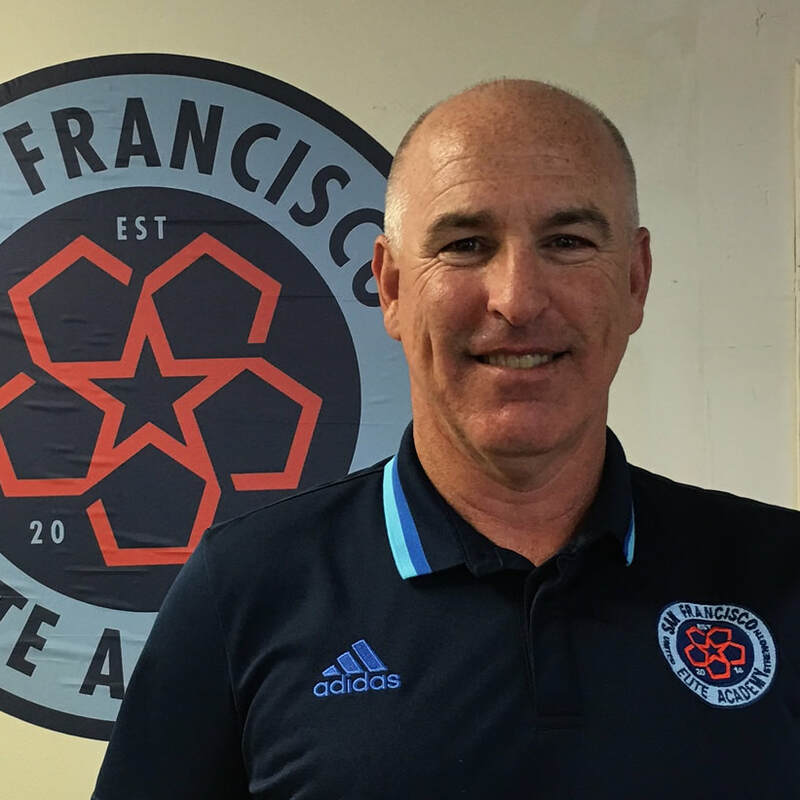 In addition, Joe is the Executive Director of the San Francisco Elite Academy, serving as the club’s top business executive overseeing all aspects of business operations, strategic planning and overall management of the club. Prior to founding the SF Elite Academy, Dugan served as Director of Coaching and Player Development for the SF Glens. Under his leadership at the Glens, Joe created a player development curriculum and built the club from less than 10 recreational teams to 60 teams comprised of girls & boys teams, rec & competitive teams from U8-16. Joe retired from competitive soccer in 2005 following a distinguished 17-year playing career. As a player, the University of San Francisco graduate, played for the Cork Corinthians in 1989-1990 & won the Beamish Cup, in Cork, Ireland. After one season playing for the SF Glens in 1990-91 in the San Francisco Premier League, Joe was given and accepted an offer to play professionally in Australia. Joe spent time with Marconi and Wollengong Wolves, before settling in with professional Club Western suburbs, located in Sydney. Joe works closely with SF Elite Academy Directors of Coaching Eddie Soto & Jim Millinder on all soccer aspect of the program. Additionally, Joe continues to ensure the long term financial stability of the SF Elite Academy having recently launched the Raising the Game Campaign. Joe lives in San Francisco, Calif. with his wife Jenny and two children Aidan and Ryan.